This month marks the 30th anniversary of perhaps the most pivotal event in NCAA and NBA basketball history. While the game itself was sub par by most standards, the legacy which followed helped reshape the pro and college games and ushered in a new era of televised basketball. 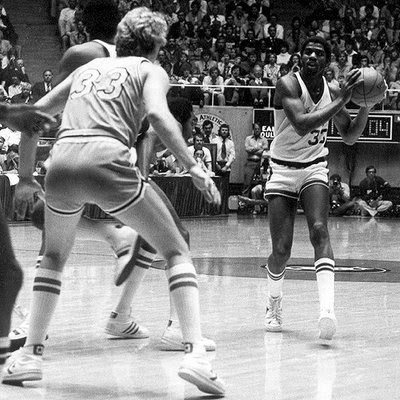 On March 26, 1979, Larry Bird's undefeated Indiana State Sycamores met Earvin "Magic" Johnson's Michigan State Spartans in Salt Lake City in what remains the the most watched televised basketball game in history. Their equally uncertain and tumultuous recruiting experiences aside, their paths to stardom couldn't have been more contrasting, and as such, the Bird-Magic rivalry which ushered in an unprecedented era of hoops could, in many ways, have never come to fruition. With ESPN still in its infancy, March Madness hardly a nationwide cultural phenomenon as we know it today, and the NBA a fledgling league struggling to appeal to mainstream America, the attention-shunning, but competition-driven, "Hick from French Lick" and the charismatic, camera-friendly and freakishly skilled 6'9" point guard from Michigan captured the country's attention throughout the ensuing decade. The league and broadcasters learned how to effectively capture that attention and market sport around its superstars. The rest, as they say, is history. This week, CBS analyst and SI writer Seth Davis outlined the lead-up to and the aftermath of the 1979 NCAA Championship Game in When March Went Mad: The Game That Transformed Basketball . HuggingHaroldReynolds: Race plays a prominent role throughout the book. Many attributed the NBA's lack of popularity in 1979 to the notion that a white audience wouldn't care for a league dominated by black superstars. We hear a lot of those same arguments today. Yet the NBA saw a pinnacle of success during the Bird-Magic rivalry years. Does this bell-curve which peaked with Bird's stardom justify this argument? 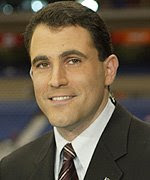 Seth Davis: Looking back, I think this "problem" in the NBA was much more perception than reality. But at some point, perception becomes reality, so even if the problem of the NBA being "too black" was overstated, the fact that Bird was white definitely added to his allure. Even Magic Johnson recognized that Bird had more commercial value than he did. I don't think it took long for those stereotypes to fall. Bird may have been white, but he was a great basketball player. Magic may have been black, but "white America" loved him because he was so talented and charismatic. I really don't think we hear much about this today. I look at NBA stars like Kobe Bryant, LeBron James and Chris Paul, and it's obvious fans of all hues love to watch them play. HHR: The book tells how the Bird-Magic rivalry and the ISU-MSU NCAA championship game transformed both college basketball (and the NBA), and ushered in a new era of television coverage and jockeying by networks. Yet, Bird could have been a garbage man in French Lick (or a Hoosier) and Magic could have been a Wolverine in Ann Arbor. How important were the institutions and supporting casts in this legacy, compared to the individuals? SD: We always say that no one player is bigger than the program, but I think these are two exceptions. Michigan State would have achieved a high level of success if Magic had gone to Michigan, but I doubt it would have won a championship. Remember, as great a coach as Jud Heathcote was, he never made it past the Sweet Sixteen after the '79 title. As for Bird, you're right, he could have been a lot of things other than a college basketball player, and therefore a future pro. One of the first things I learned that amazed me was just how close Bird came to never playing college basketball. 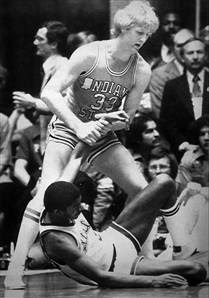 If Bill Hodges, then an assistant at Indiana State, had done what Larry's mom, Georgia, told him to do ("Leave him alone"), then the world would never have gotten to see Larry Bird play basketball. Wouldn't that have been a shame? HHR: Despite the unprecedented ratings, the championship game saw a lack of competitiveness and, by his standards, a poor performance by Bird. How were networks able to overcome the subpar performance by Bird and ISU in the championship game in selling the the potential of March Madness? SD: It's funny, everybody knows about this game, but I think some people forgot who won. This game was significant not because of the way it was played, but because it WAS played. Now, there was a point there early in the second half when Michigan State was on the verge of really blowing things open. Greg Kelser picked up his fourth foul, and while he was on the bench Indiana State was able to trim the lead to six points. If it had ended up as a blowout, that could have really hurt the sport. The story would have been Magic, not Magic and Bird. HHR: WaPo's David Kindred and Bill Rassmussen lamented the fact that there could never be another ISU - an unknown underdog who captures the country's imagination - because of the massive 24-hour coverage. How would you compare a BCS run by a Boise State or an NCAA tourney run by a George Mason, to ISU's season? SD: I think they're very comparable. 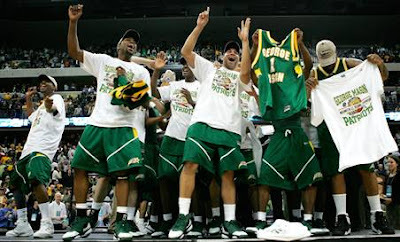 George Mason absolutely captured America's hearts when it reached the Final Four. Imagine how big that game would have been if they had won another game and reached the final! This is what made the '79 championship so noteworthy. Yes, you had arguably the two best players in the country, but it was still David versus Goliath. People might look for a modern-day equivalent and imagine a meeting between Oklahoma's Blake Griffin and North Carolina's Tyler Hanbrough in the championship, but that would be Goliath versus Goliath. The Cinderella story is the essence of the NCAA tournament's appeal, and this game was the first time that notion was brought to the modern audience. HHR: Bob Ryan wrote in Basketball Weekly: "If Indiana State with Larry Bird meets Michigan State with Earvin Johnson in the finals and the result isn't the biggest TV rating for a college basketball game, then...we, the press, aren't doing our jobs..." With a lack of national coverage in the day, columnists played a huge role in showcasing regional talent. It almost contradicts the Kindred/Rassmussen argument. What, then, should be the role of journalists today - giving the public as much info as possible, or creating an aura of mystery and excitement? SD: Let's face it, there's no mystery anymore, and as a guy who feeds my family by ruining that mystery, I'm the last to complain. We live in the Information Age, and so it's up to guys like me to feed the public's appetite for information. I understand the lament that the aura of mystery is gone, but I also love watching the Big Sky championship game on ESPN2. HHR: How do you feel online basketball columnists and blogs play in advancing the sport? Any favorites you'd recommend? SD: The more, the merrier. I am a consumer and a fan, first, so I always check blogs like Rush the Court and Storming the Floor, not to mention Deadspin. The better blogs frankly are the ones written by beat writers. I'm not so interested in what a guy sitting on his couch watching a game has to say about it. I'm more interested in someone who has done some hands-on reporting and can illuminate for me something that I couldn't see on television. HHR: ISU/MSU held various events marking the 10th, 20th and 25th anniversary of the game. What sort of things can we expect to see this year with the 30th anniversary? What makes this year special compared to those other commemorations? SD: You mean besides the publication of my book? Both of these schools held 30-year reunion celebrations this season, and if you read my book you won't be surprised to learn that they were much different. Only a couple of thousand fans showed up for the Indiana State game, and many of the players, including Bird, weren't there. Neither was the coach, Bill Hodges. 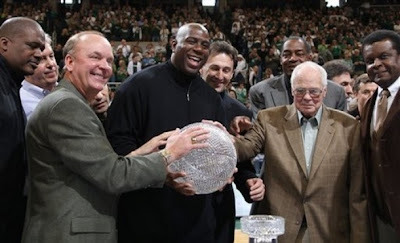 On the other hand, Magic, Heathcote and all the Spartan were in Lansing for a weekend-long celebration that culminated in the Spartans' comeback win at home over a plucky Wisconsin team. I know there are going to be a lot of celebrations at the Final Four as well. The Final Four will be in Detroit, so there should be plenty of interested observers on hand. Wouldn't it be amazing if Tom Izzo and his Spartans were playing that weekend? HHR: You did extensive research and conducted numerous interviews for the book. Can you share your favorite anecdotes about each players? who welcome me into their homes. HHR: Tell us about your experience going from a local paper to SI and CBS, and ultimately to becoming a published author. Hey man, I'm just getting started! Getting that job offer from SI was probably the most important professional moment of my life. I was working for a newspaper in New Haven, Connecicut, covering high school sports when I applied to a job at SI as a fact checker. TV wise, I got my big break at the 2003 Final Four in New Orleans, when CBS invited me onto their hourlong Sunday show to do a news and notes segment about impending coaching moves. They invited me to start doing halftime studio hits the following season, but I don't think they really knew what they were going to do with me. In early February, Tony Pettiti, who was then the executive producer of CBS Sports, casually said to me, "We're going to have you at the desk during the tournament." I honestly hadn't really considered that possibility. Believe me, I know how lucky I am. HHR: What's in the works for Seth Davis? Between my three jobs and my two kids, it's a very busy time for me. I'm just looking to get through the month of March, which I am enjoying thoroughly as usual, and then spend some quiet time with my wife and two sons. I love what I do and it has been a blast promoting this book, but being a Dad is what I do best, and I miss them very much. But I would like to do another book, so as soon as I decompress from the tournament, I'll start working on my next proposal. Stay tuned!